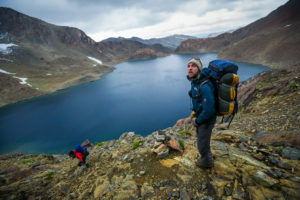 Does the thought of conquering one of the toughest treks that South America has to offer excite you? Then plan a hike to the wild Dientes de Navarino! 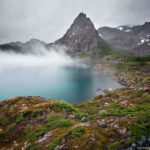 This circuit demands you walk through 54 kilometers of trail, most of which covers the jagged and unspoiled mountainous terrain of Navarino Island and Tierra del Fuego. Dientes de Navarino, which means Teeth of Navarino is also often referred as the southernmost trek in the world. But this trail is not for the weak-hearted and inexperienced. Aside from its length, the trail has barely any infrastructure and is poorly marked. Because of the weather and temperature in the Patagonia area is unpredictable and often harsh, make sure to bring good camping and hiking equipment as well as warm and waterproof clothing along with proper footwear. You need to be in good physical condition to take on the challenges this trail presents. The big question is – whatís the incentive for taking on Dientes de Navarino? Aside from proving that you’re truly a tough hiker, it is the untamed landscape of Dientes that makes it truly attractive. The trail features rocky lands, remote lakes and sweeping panoramas of the Cape Horn archipelago and the Beagle Channel. 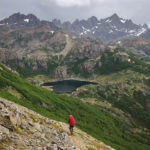 To make your trip through Dientes even more memorable, you can plan on taking some side trips while doing this multiple-day hike. The legendary Dientes de Navarino makes you climb a statue of the Virgin Mary. It also leads you to amazing attractions such as the Cerro Bandera lookout point and Laguna del Salto. It is in this lagoon area, where most hikers choose to camp for the first night of their hiking adventure. The more difficult part of this hike involves climbing over high ground like the Paso Primero, Paso Australis and Paso de los Dientes. After these difficult sections, you will be rewarded by the beauty of the Laguna Escondida, where a breaking camp is located. This incredible hike also involves crossing the Paso Ventarron and descending to Laguna Martillo. And if you think that the worst is over on the fourth day, the most difficult section is saved for last, in the most dramatic way! The challenge is to climb to Paso Virginia, which is at about 859 meters above ground, the highest point of the entire trail. After this, you will have to resist the strong pull of gravity and maneuver through the steepness when you make your descent to Laguna Los Guanacos and on through the dense, almost magical woodland. Compared to Torres del Paine, Dientes is less popular, and is therefore, less crowded. That is why less than a hundred people trek this circuit every year. So when you decide to conquer Dientes, expect to feel like you have the whole amazing landscape to yourself. Your trek can take anywhere from 2 to 6 days so plan accordingly and allow yourself time to enjoy your accomplishments! To trek Dientes, you will need to fly to Puerto Williams on Isla Navarino on a 20-seater airplane from the airport in Punta Arenas. Most trekkers go in groups and hire the services of an outfitter to make the journey easier and safer. The trek is usually done in the summer because winter is too snowy and the temperatures tend to be too extreme.